Long Beach is a popular destination for those looking to escape the everyday grind of New York City and the surrounding areas. Its long stretch of sandy white beaches and cozy bungalows make it a relaxing getaway for tourists. During the summer months, Long Beach comes to life with thousands of people retreating to the area for a little rest and relaxation. 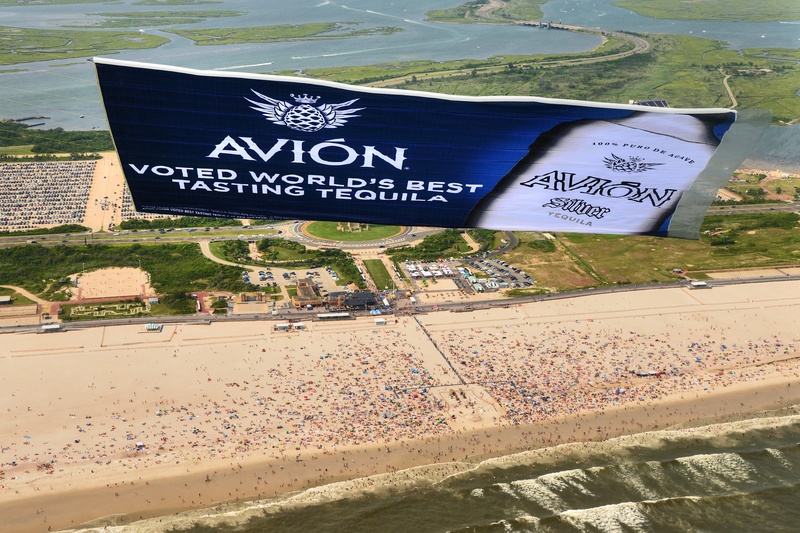 Aerial advertisers commonly fly along the coast of Long Beach, Jones Beach, Coney Island, Fire Island, The Hamptons, and New Jersey beaches, capturing the attention of beachgoers and residents on the ground below. With limited ad space on and around the beach, airplane banners and sky writing get an extreme advantage in the sky above. We have decades of aerial advertising experience and fly the biggest and best-looking aerial banners in the industry. Our highly-trained pilots fly specially modified planes that allow our banners to be towed at an angle – ensuring a wrinkle-free presentation and optimal viewing for spectators on the ground below. If you have questions about the cost of a banner towing plane in Long Beach or any other inquiries, please don’t hesitate to contact us today. Or click below for your free aerial advertising quote!